Dental treatments are perceived with a certain level of anxiety by almost all patients. While many dental services are completely painless and comfortable, patients still fear the post-intervention healing period or the restrictions they have to face once the dental treatment is done and over with. Today we decided to have our experts of dental crowns in Fort Lauderdale Florida tell you a few things about these dental devices and the treatment process to alleviate your stress. If the time spent in the dentist’s chair is the main factor of your anxiety, you should know that a crown gets into place permanently in just two visits – 2-3 weeks apart. During the first visit, your doctor will make a rigorous assessment of the tooth receiving the crown, the gums, the bone and the surrounding teeth. You may need a cavity filling if the tooth is decayed or even a root canal treatment if there is an infection that needs to be solved. All such procedures are performed in our very own office, by specialists in the necessary fields. You won’t have to run in between several dental offices to get parts of the same treatment performed by different doctors. This way you will save time, money, and effort and get your dental health restored in no time. During the first visit, your doctor will make molds or scans of the tooth in question (together with the teeth above or below the problematic tooth to make sure the future crown fits perfectly with your bite pattern). The scans or molds are then sent to a certified laboratory where the crown is manufactured. 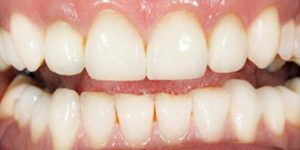 We work only with licensed laboratories, the latest equipment, materials, and techniques to ensure that your crowns fit perfectly, are resilient in time, mimic the color of your natural teeth and function impeccably. Your doctor will prep the tooth before installing the permanent crown and cement it into place. He will then teach you how to care for your crowns and recommend daily oral hygiene routines. We have nearly 60 years of combined clinical expertise and we work with the latest biocompatible materials, equipment, and procedures to make sure your crowns last a lifetime. If the costs of such a procedure are the ones that keep you concerned and uncomfortable, let us tell you that our specialists of dental crowns in Fort Lauderdale Florida will actively work with you to make all your dental treatments affordable. We also offer in-office comforts and amenities and outstanding patient care so you feel comfortable and have a treatment experience as close to your ideal as possible.